Therapeutic medical cannabis is an ambiguous topic in the Spanish landscape. We explore this further with Carola Pérez, who delves into the projects that are fighting for regulation in Spain. Pérez is the director of the Dos Emociones (Two Emotions) project and the Spanish Observatory of Medicinal Cannabis, two revolutionary organisations in Spain battling for the regulation of therapeutic medical cannabis and for the overall improvement of the quality of healthcare. Here, Pérez explores with Health Europa the dynamics of the cannabis movement in Spain, the challenges she has faced both personally and professionally and the importance of focusing on the direct beneficial effects of therapeutic medical cannabis. Tell us about Dos Emociones and your involvement in the cannabis movement. I run two different projects, the first one being Dos Emociones, which is a patient’s association where we provide advice and inform patients where to source cannabis, along with teaching them how to effectively grow the plant. We also provide them with medical cannabis seeds and, depending on the type of therapy an individual requires, we further analyse the products they grow and best practices when it comes to preparing therapeutic medical cannabis. We have roughly 1,000 patients involved in our project right now. I also run the Spanish Observatory of Medicinal Cannabis. 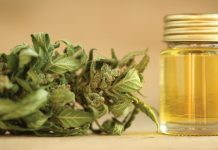 This is another type of project which includes researchers and patients, with the primary goal of achieving medical cannabis regulation in Spain. Both projects are incredibly important to me; one was created to focus on patients and the other one concentrates more on the scientific research, regulatory and policy aspects of medical cannabis. The main reason I have become a part of the therapeutic medical cannabis industry is because I also have to deal with my own personal pain and health condition. 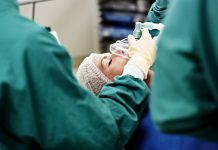 Prior to beginning the associations, I underwent my 11th surgery, after which I couldn’t continue with my previous role – I needed a lot of time to rest and recover. However, by using medical cannabis for therapeutic purposes my pain was better eased. But when I started attending cannabis social clubs here in Spain (which is where you can source cannabis from), they didn’t have any particular individuals who knew how to use cannabis effectively or for medicinal purposes. So, in response to this gap of knowledge, I started to help those that were around me, and from this many people asked for further help and further assistance, which is eventually how I came to this point in my life, being involved in the Spanish Observatory of Medicinal Cannabis and Dos Emociones. What kind of service(s) is offered and how is Doc Emociones different to other cannabis consultancy associations? Dos Emociones only works for patients. We don’t provide information for external companies or CBD companies etc. ; we are focused only on patients. Cannabis is not legal in Spain, it is legal to consume it at home, but you cannot use or consume it on the streets. It’s like a paradox, I can grow it in my home but not use it in the streets – what other way can I consume my cannabis? So, the way that our association works is when patients come to us with a medical condition such as cancer, for example, and explain that they want to use cannabis, our first consultation includes the patient sending us their medical records. 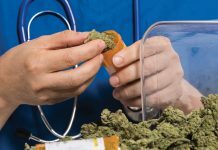 Here we have an experienced doctor who consults with the patient and provides medical advice, ensuring the use of therapeutic medical cannabis is the best option for them. 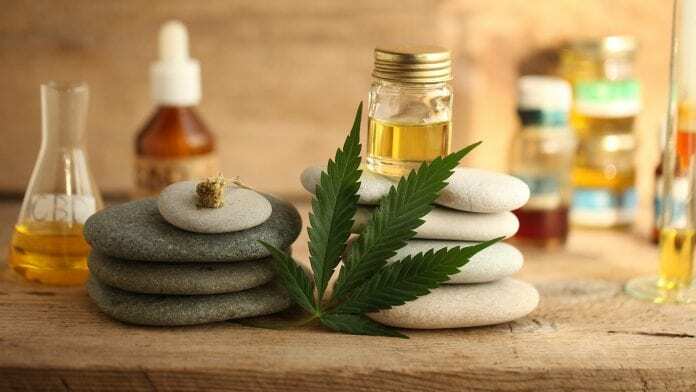 The patient then has another meeting with me or an alternative consultant within our team, where we explain what CBD/cannabis is, what happens if you are using the drug, what dosage they require etc. Sometimes we will need to change their method of administration depending on their medical condition. 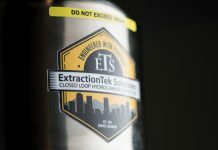 This consultation process typically takes three hours with each patient, after which we eventually inform the patient of the best place they can source from and the best cannabis social club near them. We analyse everything. The cannabis social clubs that we collaborate with must show us the legitimacy of their practice, otherwise we do not recommend the practice to our patients. Furthermore, we make follow-up appointments to see how patients are getting on. If they decide to grow medical cannabis, we advise them how to grow, we offer them discounts in some shops where they can purchase the materials to grow cheaper and more effectively, and we give them free seeds which are donated by a seed factory in Spain. We also analyse the products and oils that they are making to ensure they are safe to use. We also have interesting encounters with patients depending on the particular disease or condition they are suffering from. For example, for those with pain, cancer or multiple sclerosis, or even for mothers of children with epilepsy, we spend morning or afternoon sessions simply sharing our stories. The importance of our association is that we don’t necessarily always make it about medical cannabis, it’s about the energy that comes when patients come together and can speak freely about using the plant for medical purposes. Because the patients feel like they are in a safe place. As cannabis is not legal, patients are not always comfortable talking about their use of cannabis in other settings, especially those who are working or those whose families are not comfortable with the use of it. Therefore, this serves as a welcoming environment as here they can share their stories with no fear and no judgement. Moreover, we promote this as a safe place and because of that we are always learning from one another. We are a small association with patients helping other patients. That’s how we work. People helping more people. I believe our association could have the butterfly effect – where you start with a small change of helping people and with more and more people helping one another, a large difference can occur – where we teach people how to teach other people, conclusively sharing knowledge across the board. What has been the greatest challenge Doc Emociones has faced in this rapidly growing industry, especially being based in Spain where there is no precise regulation on cannabis? There are so many challenges, one of the most important being that we always have the police at our centre. To begin with, the police always thought we were distributing cannabis to our patients, which was untrue, so we had to meet with the head of the police and explain that we were simply advising patients. But the police thought we were one of the cannabis social clubs, and because of that we had to talk to the mayor of the city, Manuela Carmena, and explain that we do not dispense cannabis – we are a patient’s association; therefore, we only provide consultation. In that instance, Carmena called the authorities on our behalf, explaining the objectives of the association and highlighting what a great job we were doing. Since then we have been left alone. Because I live with the threat of neurological regression, I am always tired and in pain, which makes it very difficult for me to work. That is another challenge, as is my gender. I have experienced a lot of harassment from activists in Spain, many of whom are men. As a woman, it is difficult to have a voice in this new industry. 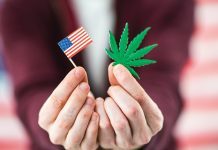 Moreover, Dos Emociones exists in a grey area when it comes to cannabis; recreational activists don’t support us because we are patients talking about regulation, while the pharmaceutical industry is not fond of us because we want to in some cases replace opioid and antidepressant use with therapeutic medical cannabis. We are almost in the middle of nowhere, though we are present everywhere. We are slowly overcoming the challenge of public opinion. Five years ago, before we started our association, only 50% of the Spanish population was in favour of regulating cannabis for medicinal purposes; now, that figure is 84%. Furthermore, we have been interviewed in the press hundreds of times, and we know that our message is finally beginning to reach people. They understand what we are trying to explain, and even though it is very exhausting and difficult to spread knowledge and share experiences, it is crucial to share our stories as people who could help to make a change must know the truth – they need to hear what is going on with the patients and the true effects of therapeutic medical cannabis. When more people start hearing stories, either my own or other patients’, they begin to empathise with our progress. And now our goal is to change all of Spain’s minds about medical cannabis. I am very proud of what we are doing. We haven’t had anyone supporting us in our work; we haven’t had any national funding to work with or help patients, so it is very difficult for us to maintain the association and its staff and to continue running projects. But, thanks to our work, I do think people are beginning to recognise the importance of medical cannabis. I am very proud of how far we have come. What kind of framework would you like to see in place to help patients access medical cannabis more easily in Spain? I would like to see common sense among politicians. They argue that there isn’t enough evidence and I agree that we need more research into the topic, but patients’ pain cannot wait. 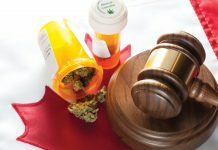 I am in constant, excruciating pain – I have had 13 surgeries, I cannot stand for more than four hours a day, I have to be lying down, and if I do not have a form of therapeutic medical cannabis, then my pain worsens. I have found that all other forms of medication – morphine etc. – have failed me. The politicians need to begin acknowledging the benefits of medical cannabis and regulating its use.